This was the third roadshow event of the week. 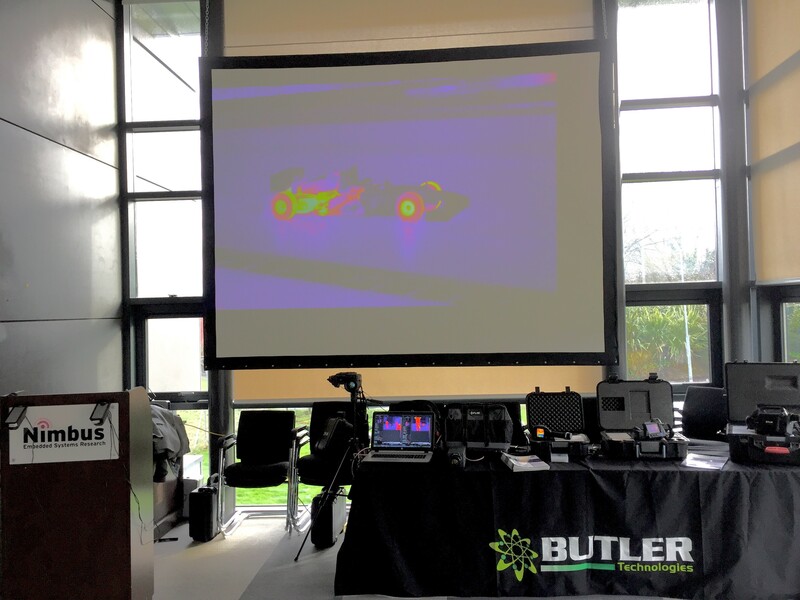 We demonstrated a wide range of cooled and uncooled cameras to people from the colleges and many different industries including aerospace, agriculture and animal study, manufacturing industry and design. Some of them were existing customers looking to see what they could upgrade to in teh future and others were looking for the first time. David Doyle of Butler Technologies thanks Steve Beynon, Sales Manager North Europe, from Flir and Bob Berry from itc and Bob Berry:. MCGI, IEng, MInstNDT, MIEI, MIET, LEP, LCGI, Level 3 Thermographer from Thermal Vision, for their assistance in running these workshop events.